A dual core processor is part of a category called multi-core processors. These computer processors have more than one independent processor on the chip or package. In the case of a dual core processor, the entire chip has two independent computer processors that can work together to increase total computer performance. For non-technical consumers, dual core processors can be thought of as having two separate computer chips combined. One of the biggest advantages of having a dual core processor is the computer’s ability to perform thread level parallelism. A thread is a task that a computer puts resources to run. For instance, if a computer is running a Microsoft XP operating system, users can press ctrl, alt, and delete and the task manager will come up. The user can then click on the tab called processors and will see a list of processes that the computer currently has assigned resources to. The higher the number to the right, the more intensive the computer processor is working on these tasks. These tasks are considered threads. With a dual or multi-core processor, each core can work on tasks parallel to each other. In common laments terms, users get much more performance from a dual or multi-core processor. There are several advantages to having a dual core processor. The first advantage is that the computer will use less energy and deliver more total performance from both its cores than a single high performance chip design. The second is that dual core processor caches perform better than a two chip design. Users also need less space requirements, since the die for the dual cores are printed on one chip. There is no need to create two separate chips, thus saving space. Another advantage is that the technology is very reliable and has been tried and tested. Dual core processors will likely continue to have an excellent reputation due to their stable and reliable design. While the advantages far outweigh the disadvantages, users should be aware of a few negatives. For instance, software needs to be redesigned to work specifically with dual core processors. It is important to note that the most reliable design is to have an individual processor on a chip and that due to the fact that the dual core processor will be working faster and harder that constraints will be put on the system bus as well as other computer parts such as memory bandwidth. Dual core processors are now available for purchase and they are quickly becoming the dominant architecture in the industry. Look forward to seeing more dual core desktop and laptop computers at the retail level and multi-core processors coming soon. Dual core technology is a little more expensive. However, most people that buy dual core technology feel that the power in processing is well worth the additional cost. 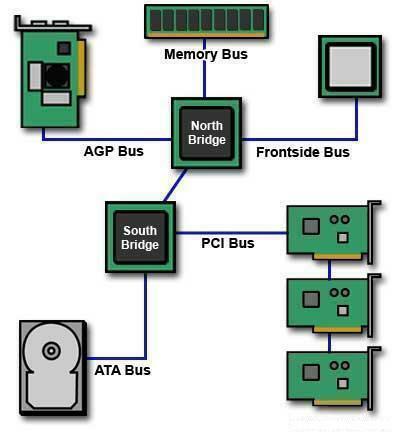 Dual-core processors face a disadvantage if they both share one Front Side Bus. This highlights the advantages of the HyperTransport bus, where bandwidth is not shared between CPUs. i want to know which processor is good for running edius6 ? which laptop is good for video editing? Most higher end laptops can do the job, but for best performance you need a powerful processor (Intel Core i7 may be best), a dedicated graphics unit (GPU) from Nvidia or AMD, lots of memory (8GB would be recommended), and plenty of storage space (should be easy to find over 500GB). Cooling system is also beneficial. Requirements for a good video editing system are pretty much equivalent to those for a gaming laptop. In other words look for top of the line laptops from your favourite manufacturers (like ASUS, Lenovo, Dell, etc) and then work from there based on affordability. But in a nutshell, Intel Core i7 processor, dedicated graphics, 8GB of RAM and 500+ GB of hard disk space is a good bet. I just want to know which is better and run faster a single core with 4 gb ram or dual core with 2 gb ram. I cant get the answer from the internet. The answer depends upon which applications you run and how you run them. 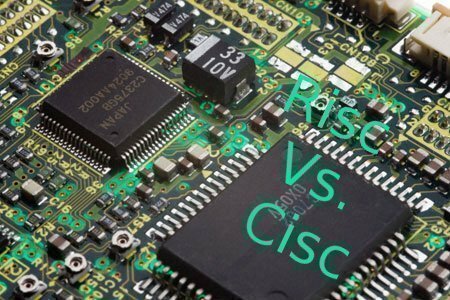 Are your applications CPU intensive or memory intensive? For my applications, even 4GB isn’t enough. My apps run faster on a dual core CPU with 8GB of RAM than a quad core CPU with 4GB of RAM. 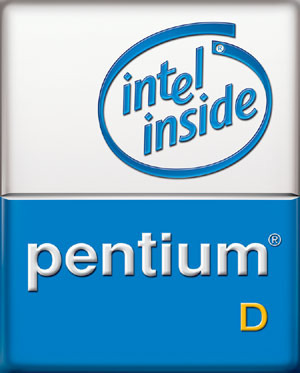 I would like to ask you are dual core and intel(R) pentium(R) the same brand of computer? or are they good as one another? I want to know does adobe premiere,photoshop, will run on 32 bit processors.Also mention the neccessity of 32 & 64 bit processors.Please mention the programms which will run on 32 bit processors. In the newest version, Adobe CS5, Premiere and After Effects wont run on 32bit processors, but the others (including Photoshop) will, according to this FAQ. Can we put a separate core working on computer on our own specification. Dual Core and Core 2 Duo mean there are two cores running at the specified clock speed (2x 2.70 Ghz or 2x 2.3 Ghz). i3, i5 and i7 are a newer generation of Intel’s multi-core processors with an improved architecture. The i3 ones all have 2 cores. Among the i5 ones there are some with 2 cores and some with 4 cores. Among i7 ones there are also 2-core, 4-core and 6-core. If you have a 6-core i7 at 2.3 Ghz this means you have six cores running at 2.3 Ghz. It could be said this is an equivalent of 13.8 Ghz of processing power, but it’s not all about gigahertz and clock speed. Wikipedia has a nice chart of latest Intel CPUs. I am working on VMware scenario for a data center. I simply started with 12 CPUs and 12 RAMs each with 4 GB RAM. TOTAL as 48 GB. I can pool the RAMs since with VMware now I am in virtual mode. Now I shall be allocating the virtual RAMs to various users for their applications. My questions is related to Cores of various CPUs I will have in the blade server chassis. I will have mix and match of 2 cores x 2.3 ghz, 4 cores x 1.8 ghz, 12 cores x 2.6 Ghz and so on. In VMware, vRAMs are assigend. And Cores are also considered. but How? pLus CPU Ghz is not considered? could you please put some light on it? Originally posted by Shrivallabha: “I work in Oil and Gas consultancy. The intention is to clarify that I do not and may not understand everything. But still out of curiosity, I have been reading some documents on multiple core processors. The article written above surely is one of the better articles I have read (along with follow up Q & A). I have few questions. I hope to get some help here. The processor is just processing data from memory regardless of whether all or just one core are involved. The more memory there is the more data can be stored in it for the CPU to fetch and process. So yeah, 1 core can utilize all 4GB of RAM just as much as all four can, depending on whether the application has multicore support or not. Yeah, Vista needs more memory than XP, but the OS isn’t the only thing that will determine how much RAM you’ll need. Various applications require more or less RAM. For example games will need more RAM than text editors. Firefox with many tabs open will need more RAM than Firefox with less tabs and so on. In the end, the more RAM you can afford the better. 3. How to decide on the processor speed and RAM combination? What are the deciding factors. I work in Oil and Gas consultancy. The intention is to clarify that I do not and may not understand everything. But still out of curiosity, I have been reading some documents on multiple core processors. The article written above surely is one of the better articles I have read (along with follow up Q & A). I have few questions. I hope to get some help here. 1. How do the Multiple Core processors utilize the RAM? e.g. If we are looking at Quad Core processor and 4 GB RAM. Then does it mean that each core uses 1 GB each or there is some memory manager which may give us multiple combinations like 1 core utilizing all of the 4 GB RAM? 2. How much difference the OS make on RAM? As in some of the articles it indicated Vista requires more RAM than XP? If “duo” is in the name then it should be dual core. Centrinos probably aren’t the best for gaming (they’re known as a low end line), but in combination with a good graphics card it should be enough. As for minimum system requirements I think it depends on whether the game can take advantage of both cores simultaneously. If it can then you could say you have 3.44 Ghz available for it. Otherwise it will just use a single 1.72 Ghz core. I would imagine most games today are optimized for multicore processors though. this may be obvious, but my computer has a centrino 1.72 GHz duo proccessor. that means its a dual core, right? and also, im a gamer. other than the annoying factor of operating systems not working, in theory, my computer should be able to run games that say their minimum system requirments are 3.44 GHz or less? Jim, when you see a 1.8 Ghz processor it usually means you have two or more cores running at 1.8 Ghz, which in a sense means you actually get 3.6 Ghz total. Multiple cores in a CPU is like having multiple processors in one. They don’t need to push gigahertz in cores very far to gain much greater performance. They just multiply cores and get the same, if not even better effect. Today there are dual core CPUs, quad core CPUs (four cores in one) and the latest ones are even six-core. I think maximum per-core clock speed today hovers around 2.8 Ghz (but in six core CPU this is akin to 16.8 Ghz!). As for 64bit vs. 32bit, definitely go for 64bit. I believe this is the new standard and you really have nothing to lose. You can still run 32 bit operating systems and applications, it just means you can now also run more optimized 64bit software too, and have support for more memory (4GB and more). Regarding Intel and AMD I think AMD is generally cheaper and you might get more performance per dollar. If you want to get into the details both have its technological advantages and disadvantages. Since its Core 2 Duo release Intel might actually have a slight edge, but ultimately I think whichever you choose you can hardly go wrong. For office and business use you probably don’t need much. A dual-core 1.8Ghz would likely be fine, but if you wanna make sure you’re ready for occasional pushing of its limits and have the budget to pay for a little more a quad core might be a nice sweet spot nowadays. I haven’t bought a CPU in a while, but I think quad cores are now pretty much where dual core CPUs were in 2007 and 2008. But I have to say, we’re living in an age of computing power abundance. Pretty much any cheap dual core CPU computer with 2 gigs of RAM will beat your old Compaq for office use. The main current brands are Intel i3, i5 and i7, and on the AMD side Athlon 2 and Phenom 2. I need a new computer, and am confused about processor speed. My 2003 era Compaq has a 2.3 Ghz processor operating on XP, but I see many laptops offering 1.3, 1.8, and occasionally 2.2 Ghz. SURELY things are faster these days. What gives? What should I buy? Intel or AMD? 64 or 32 bit. Office and business use. Not a gamer. 185 queries in 0.475 seconds.